If the prior art already discloses a (low-molecular) chemical compound having a certain degree of purity and a method for its manufacture, does this imply an implicit disclosure of the same compound having a higher purity - thus prohibiting later claims to the compound defined by a certain higher degree of purity? Previously, the Examining Division had refused the sole request of the Applicant, pertaining to a chemical compound defined in claim 1 as "Amorphous Lercanidipine Hydrochloride having a purity of at least 99.5% determined by HPLC analysis and containing less than 0.5% of crystalline Lercanidipine Hydrochloride". Relying inter alia on T 990/96, the Examining Division argued that the disclosure of amorphous Lercanidipine Hydrochloride ("LH") and its manufacture in prior art document D1 already had made available this compound to the public in the sense of Article 54 EPC in all desired grades of purity, and the claimed degree of purity could therefore not render the claims novel. Departing from T 990/96 and subsequent cases including T 0728/98, the present Board of Appeal held that, in line with in particular decisions G 2/88 and G 2/10, in order to conclude a lack of novelty, there must be at least an implicit disclosure in the state of the art of subject matter falling within the claimed scope. Such an implicit disclosure would mean no more than the clear and unambiguous consequence of what is explicitly mentioned in the prior art. Thus, the skilled person, using his common general knowledge, would understand a feature as implicitly disclosed in a prior-art disclosure only if it is the clear and unambiguous consequence, and hence the inevitable result of what is explicitly derivable from said prior art disclosure. In the present case, it was demonstrated (in a report filed during examination) that a purity falling within the claimed range is not the inevitable result, and thus not an implicit feature, of the preparation method taught in D1. The question whether (further) purification methods required to reach the claimed purity were within the common general knowledge of those skilled in the art was not considered relevant to novelty, but rather a matter to be considered in the assessment of inventive step. 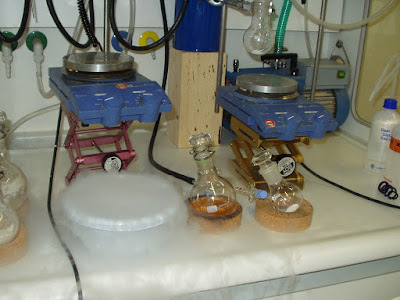 The Board found that having regard to both the common general knowledge and the state of the art, no purification techniques were available prompting the skilled person to solve the technical problem of providing amorphous LH having a higher purity. Accordingly, amorphous LH having the claimed degree of purity was found to be novel and inventive. I. The appeal by the applicants (hereinafter "appellants") lies from the decision of the examining division to refuse European patent application No. 06 723 128.2. During those proceedings, by letter dated 3 November 2010, the appellants filed the Analytical Report #56 entitled: "Synthesis and purification of lercanidipine HCl as reported in US 4,705,797" (hereinafter: Report #56). "1. Amorphous Lercanidipine Hydrochloride having a purity of at least 99.5% determined by HPLC analysis and containing less than 0.5% of crystalline Lercanidipine Hydrochloride". - The subject-matter of claim 1 was not novel over the disclosures in documents D1 and D3. In arriving at this conclusion, the examining division inter alia relied on T 990/96 and held that since the appellants had not shown that all prior attempts to achieve the claimed level of purity had failed, D1 anticipated the claimed purity level (impugned decision, page 7, first paragraph). - The subject-matter of claim 1 did not involve an inventive step starting from D1 as closest prior art. V. In the statement setting out the grounds of appeal, the appellants contested the reasoning of the examining division and submitted that the subject-matter as claimed in the request filed by letter dated 3 November 2010 was novel and involved an inventive step in view of D1 taken as closest prior art. VI. In preparation for the oral proceedings, the board issued a communication drawing the attention of the appellants to salient issues that may be addressed at the oral proceedings. VII. In a reply to the board's communication, the appellants commented on the issues raised by the board and filed three sets of claims as auxiliary requests 1 to 3. VIII. Oral proceedings before the board were held on 9 November 2018. During oral proceedings, the appellants filed a set of claims 1 to 3 as new main request. All previously pending requests were withdrawn. Independent claim 1 of the new main and sole request is identical to claim 1 as filed by letter dated 3 November 2010 (III, supra). Dependent claim 2 is directed to a specific embodiment of the amorphous lercanidipine hydrochloride as defined in claim 1. Claim 3 defines the medical use of the amorphous lercanidipine hydrochloride of claim 1 in the treatment of hypertension. The appellants request that the decision under appeal be set aside and that a patent be granted on the basis of the claims of the main and sole request filed during the oral proceedings of 9 November 2018. - The relevant disclosures in D2 and D3 were largely identical. D2/D3 described an improved process for the preparation of crystalline and not amorphous lercanidipine hydrochloride (hereinafter "LH"). - The disclosure in example 11A of D2 and example 2 of D3 of amorphous LH hemihydrate, allegedly prepared in accordance with Dl and having a reported initial purity of 99.85%, was not enabling. - Report #56 clearly demonstrated that by following the procedure described in D1, example 16, the purity of 99.85% as reported in D2 and D3 could not be achieved. Only a purity of 97.91% could be obtained. - Consequently, D2/D3 did not anticipate the subject-matter of claim 1 at issue. - The procedure described in example 16 of D1 led to amorphous LH having a purity of 97.91%, i.e. outside the range specified in claim 1 at issue. - The rationale developed in T 990/96 and T 728/98 was in conflict with the principle that for concluding lack of novelty, there must be a direct and unambiguous disclosure. - The purity level specified in claim 1 at issue was a well-defined structural feature of the claimed product. There was no reason or justification for treating it differently from other features, thus making an exception from the requirement of direct and unambiguous disclosure. - The question of whether the claimed purity level might be obtained by the skilled person using common general knowledge was related to obviousness, and was not relevant to the assessment of novelty. - It had thus to be concluded that the purity level mentioned in claim 1 at issue was not anticipated by D1 so that claim 1 was novel over D1. - D1 represented the closest prior art. - The disclosure in D1 differed from claim 1 in the level of purity, and the resulting technical effect was to render the claimed LH more suitable as a pharmaceutical product. - Even if the skilled person wished to obtain the claimed purity level of at least 99.5%, the prior art did not provide any hint to the skilled person regarding how the process of D1 could be modified in order to achieve it. - The skilled person would not regard the disclosure in D2/D3 that the purity of amorphous LH had been determined by analytical HPLC as a teaching to purify the product of D1 with preparative HPLC. In particular, the eluent used in the HPLC analysis of D2/D3 did not allow the separation of amorphous LH in the required purity level. - It had therefore to be concluded that the subject-matter of claim 1 at issue involved an inventive step. 1. Claim 1 at issue is based on original claim 3 in combination with paragraph  bridging pages 6 and 7 of the application as filed. Claim 2 is based on original claim 5 in combination with page 18, line 3 of the application as filed. Claim 3 is based on paragraphs ,  and  of the application as filed. The board is thus satisfied that claims 1 to 3 meet the requirement of Article 123(2) EPC. Additionally, claims 1 to 3 fulfill the requirements of Article 84 EPC. Both D2 and D3 disclose the production of LH in anhydrous crystalline form by means of an esterification process (D2: column 7, lines 33 to 55; D3: page 3, last paragraph to page 4, first full paragraph). The disclosures in D2 and D3 relevant to the question of novelty are identical and contained in example 11A of D2 and example 2 of D3, respectively (D2: column 19, lines 30 to 67; D3: page 5). 2.1 In said examples, the thermal stability of said anhydrous crystalline LH is compared with that of LH hemihydrate. It is this comparative LH hemihydrate that is of particular relevance for assessment of the novelty of the claimed subject-matter. Table 5 of D2 (column 19) and Table I of D3 (page 5) report that said LH hemihydrate is characterised by an initial purity of 99.85% as assessed by HPLC, i.e. a purity falling within the range defined in claim 1 at issue ("at least 99.5%"). Said LH hemihydrate is "prepared according to the procedure described in U.S. Pat. No. 4,705,797" (D2: column 19, lines 30 to 32 and D3: page 5). This US patent is denoted D1 in the present appeal proceedings, and discloses solely in example 16 (column 11, lines 28 to 49) the preparation of LH hemihydrate. It is undisputed by the appellants that the latter is amorphous. Consequently, by referring to D1, example 11A of D2 and example 2 of D3 report not only the purity of claim 1 at issue but also disclose the feature that the LH is amorphous, and comprises less than 0.5% crystalline LH as required by claim 1. 2.2 Said disclosures in D2/D3 thus anticipate the subject-matter of claim 1. However, in the board's judgement, said disclosures cannot be reproduced by the skilled person, for the following reasons. 2.2.1 Report #56 shows that amorphous LH having a purity as high as 99.85% cannot be obtained by following the procedure described in example 16 of D1. According to Report #56 (page 4, line 2), the purity of amorphous LH obtained by the procedure of this example only amounts to 97.91% as assessed by HPLC. 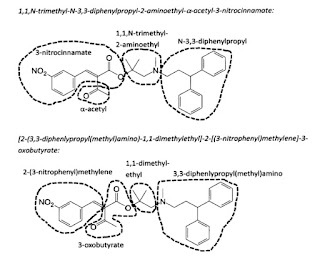 2.2.2 It is noted that although both example 16 of D1 and Report #56 employed methyl 3-aminocrotonate as a starting material for the preparation of LH, in the former, by reference to example 13, it is reacted with 1,1,N-trimethyl-N-(3,3-diphenylpropyl)-2-aminoethyl alpha-acetyl-3-nitrocinnamate, while in the latter (page 3, lines 1 to 4) it is reacted with [2-3,3-diphenylpropyl(methyl)amino)-1,1-dimethylethyl] 2-[(3-nitrophenyl)methylene]-3-oxo-butanoate. The starting materials employed in example 16 of D1 are thus identical to those used in Report #56. 2.2.3 In example 16 of D1, the condensation product (lercanidipine free base) obtained from these starting materials "was purified by flash chromatography on silica gel columns, using chloroform with increasing amounts of acetone as eluent". Further details of the purification procedure, such as the number of chromatographic steps, are not mentioned in D1. According to Report #56 (page 3), the obtained lercanidipine free base was purified with three silica gel columns. After each column, the fractions with the highest purity were combined and then further purified in the subsequent column. The fractions with the highest purity obtained after the first, second and third column have a purity of 93.27% , 95.35%, and 95.97% respectively, representing successive purity increases of 2.08 and 0.62% respectively. Thus, although the purity increased with each successive column, the rate of increase in purity decreased drastically. In view of these results, it can safely be assumed that the performance of a technically reasonable number of additional columns would not lead to significant further increases in purity beyond the third column. Therefore, even though the number of chromatographic steps is not disclosed in example 16 of D1, it can still be assumed that the purity of lercanidipine free base obtained in that example is not significantly above that obtained in Report #56. According to example 16 of D1, said purified lercanidipine free base was then subjected to dissolution/evaporation steps in order to produce the target LH. The same was done in Report #56 (paragraph bridging pages 3 and 4), providing a final purity of 97.91% (HPLC). The board is satisfied that Report #56 represents a technically reasonable reproduction of example 16 of D1, and thus demonstrates that by following the procedure disclosed in said example, a LH purity close to 97.91% rather than 99.85% as reported in D2/D3 is achieved. 2.2.4 Moreover, as noted by the appellants, the starting materials employed in example 16 of D1, i.e. methyl 3-aminocrotonate and 1,1,N-trimethyl-N-(3,3-diphenylpropyl)-2-aminoethyl alpha-acetyl-3-nitrocinnamate, are themselves condensation products. Given that condensation reactions are essentially reversible, and that the reactants are capable of tautomerization leading to further undesirable condensation reactions, many different by-products are conceivable. Accordingly, the procedure of D1 is indeed prone to providing poor yield and a complex by-product profile comprising different condensates, thus leading to low product purity, even when the initial reactants are employed in a highly pure form. This conclusion is in accordance with D2 (column 5, lines 20 to 25), which reports that the cyclisation method described in D1 "leads to several impurities and consequently a low yield of the product is obtained". It is thus more than plausible that the purity of the product obtained by following example 16 of D1 is not as high as that reported in D2/D3. 2.2.5 It is further noted that in the impugned decision (pages 5 and 6, point 3.4), the examining division observed that the purity as claimed had been achieved in D1 since LH as obtained in example 16 of D1 had a reported melting point range of 119 - 123 °C (column 11, line 49). This range was identical to that reported for highly pure amorphous LH of example 1 of the present application (table 1 on page 18 of the application as filed). The examining division concluded that since the melting points were identical, the LH purity achieved in D1 must also be identical to that of example 1 of the present application, i.e. 99.6% (page 17, paragraph ), which was within the range defined in claim 1 at issue. The board disagrees. It is not credible that a relatively small difference in LH purity (97.91% according to Report #56 versus 99.6% in example 1 of the present application) would result in a detectable difference in the measured melting point, even more so since the latter is not reported as an absolute value but as a range spanning over 4 °C. Moreover, the examining division based its conclusion on a mere allegation without providing any verifiable facts able to make it at least plausible what it had affirmed. 2.2.6 Therefore, the board concludes that LH hemihydrate having a purity of 99.85% as disclosed in D2/D3 (2.1, supra) cannot be reproduced by the skilled person. 2.3 According to established jurisprudence, in order for a disclosure to anticipate a claimed subject-matter, the teaching contained therein must be reproducible by the skilled person. It follows that the disclosure of LH hemihydrate having a purity of 99.85% contained in D2/D3 cannot be used to attack the novelty of claim 1 at issue. 2.4 The only reproducible teaching contained in D2/D3 (2.1, supra) is thus at most that LH hemihydrate can be prepared according to the procedure described in D1. It does hence not add anything to what is disclosed in D1. The relevance of D1 will be discussed hereinafter. 3.1 As set out above, it is undisputed that LH as prepared according to example 16 of D1 is amorphous and has a level of crystallinity as defined in claim 1 at issue. Example 16, however, does not mention the purity of the LH obtained. By reworking example 16 of D1 (Report #56, above), the LH obtained has a purity of 97.91%, which is below the lower limit required by claim 1 at issue. 3.2 The board is aware that according to decision T 0990/96 (OJ 1998, 489; headnote 1 and 2 and reasons, 7 and 8), "a document disclosing a low molecular chemical compound and its manufacture makes normally available this compound to the public in the sense of Article 54 EPC in all desired grades of purity (emphasis added by the present board). 3.3 The entrusted board reached this conclusion on the basis that, particularly in the field of pharmaceutical compounds, it was "common practice for a person skilled in the art of preparative organic chemistry to (further) purify a compound obtained in a particular chemical manufacturing process according to the prevailing needs and requirements, e.g. in samples for analytical purposes. Conventional methods for the purification of low molecular organic reaction products such as recrystallisation, distillation, chromatography, etc., which normally can be successfully applied in purification steps, are within the common general knowledge of those skilled in the art" (loc. cit. emphasis added by the present board). It was accepted by that board that exceptional situations may exist which could justify a different conclusion. For example "a situation where it was proved on the balance of probability that all prior attempts to achieve a particular degree of purity by conventional purification processes had failed". However, "the burden of proving the existence of such an extraordinary situation lies with the party alleging its existence" (loc. cit., emphasis added by the present board). 3.4 This rationale of T 0990/96 has been followed by a number of subsequent decisions. In particular, according to T 0728/98 (OJ 2001, 319; headnote 2 and reasons, 6.4), "[w]here the claimed purity level of a low molecular chemical compound ... turns out to be successfully achieved by applying a conventional purification method on a reaction mixture disclosed in the prior art, an exceptional situation such as addressed in the decision T 990/96 does not exist. This would have required evidence that conventional methods could not achieve that purity level. Therefore the general rule applies that the level of purity of that low molecular compound cannot entail novelty" (emphasis added by the present board). 3.5 The board agrees with the examining division that if the above rationale developed in T 0990/96 and T 0728/98 were to be applied to the present case, it would lead to the conclusion that since D1 in its example 16 discloses amorphous LH and its preparation, it makes this substance available to the public in the sense of Article 54 EPC in all desired grades of purity, i.e. also in the purity specified in claim 1 at issue. Under this premise, novelty of the subject-matter of claim 1 would have to be denied. 3.6 However, the board is convinced that the rationale of the above mentioned decisions is not in line with the case law developed by the Enlarged Board of Appeal, in particular in decisions G 2/88 and G 2/10, for the following reasons. 3.6.1 In decision G 2/10 (OJ, 6/2012, pages 376 to 417, point 4.7 of the reasons), the Enlarged Board stated that "the overriding principle for any amendment to be allowable under Article 123(2) EPC is that the subject-matter of an amended claim must be at least implicitly disclosed to the skilled person, using common general knowledge, in the application as filed". The Enlarged Board (reasons, 4.6) further set out that "the European Patent System must be consistent and the concept of disclosure must be the same for the purposes of Articles 54, 87 and 123 EPC". It follows that, in the same way as for assessing compliance with Article 123(2) EPC, in order to conclude a lack of novelty, there must be at least an implicit disclosure in the state of the art of subject-matter falling within the claimed scope. "[I]mplicit disclosure means disclosure which any person skilled in the art would objectively consider as necessarily implied in the explicit content, e.g. in view of general scientific laws. In this respect, the term "implicit disclosure" should not be construed to mean matter that does not belong to the content of the technical information provided by a document but may be rendered obvious on the basis of that content. Whilst common general knowledge must be taken into account in deciding what is clearly and unambiguously implied by the explicit disclosure of a document, the question of what may be rendered obvious by that disclosure in the light of common general knowledge is not relevant to the assessment of what is implied by the disclosure of that document. The implicit disclosure means no more than the clear and unambiguous consequence of what is explicitly mentioned" (emphasis added by the present board). When discussing the case underlying T 1523/07, the entrusted board concluded that the claimed subject-matter was novel, since the relevant prior-art document did not implicitly disclose a claimed feature (rinsing until the pH value of the waste water was not more than 9 at 50 °C). The entrusted board held that although the skilled person may have known that implementing the claimed feature was desirable, this feature did "not inevitably result" from the teaching of the prior-art document. Numerous decisions have adopted the same line of reasoning either with respect to the assessment of novelty (e.g. T 2522/10 of 16 April 2015, point 4; T 1383/12 of 20 September 2016, point 5.1.1; T 0572/14 of 28 September 2016, point 4.2; T 1723/12 of 11 January 2017, point 3.1) or of Article 123(2) EPC (e.g. T 1890/15 of 19 December 2017, point 3.2; T 0648/13 of 15 February 2018, point 7; T 0049/13 of 1 June 2018, point 13; T 2267/14 of 23 July 2018, point 3.1). 3.6.3 This approach is also in line with decision G 2/88 (OJ, 4/1990, pages 93 to 113). In that decision (reasons, 10), the Enlarged Board, with reference to Article 54(2) EPC, made clear that the "word 'available' [to the public] carries with it the idea that, for lack of novelty to be found, all the technical features of the claimed invention in combination must have been communicated to the public" (insertion and emphasis added by the present board). The Enlarged Board also stated (loc. cit.) that "teaching the carrying out of a process for example, also makes available further information which is the inevitable result of carrying out such teaching" (emphasis added by the present board). 3.6.4 The present board therefore concludes that the skilled person, using his common general knowledge, would understand a feature as implicitly disclosed in a prior-art disclosure only if it is the clear and unambiguous consequence, and hence the inevitable result of what is explicitly derivable from said prior art disclosure. Consequently, common general knowledge can be used in order to assess how the skilled person would understand the disclosure of the prior art, but cannot be used to supplement it. 3.7 A claim defining a compound as having a certain purity therefore lacks novelty over a prior-art disclosure describing the same compound only if the prior art discloses the claimed purity at least implicitly, for example by way of a method for preparing said compound, the method inevitably resulting in the purity as claimed. Such a claim, however, does not lack novelty if the disclosure of the prior art needs to be supplemented, for example by suitable (further) purification methods allowing the skilled person to arrive at the claimed purity. 3.8 The question of whether such (further) purification methods for the prior-art compound are within the common general knowledge of those skilled in the art and, if applied, would result in the claimed purity, is not relevant to novelty, but is rather a matter to be considered in the assessment of inventive step. 3.9 This conclusion is in line with the statement made by the Enlarged Board in G 2/88 (reasons, 10) that "a line must be drawn between what is in fact made available, and what remains hidden or otherwise has not been made available" and that "the distinction should also be emphasised between lack of novelty and lack of inventive step ... in particular, what is hidden may still be obvious". The conclusion is also in agreement with decision T 1523/07 of 24 November 2009, cited above. 3.10 Moreover, this conclusion conforms with the well-established Enantiomers decision T 0296/87 (OJ, 5/1990, pages 195 to 212, reasons, 6.4) stating that "the only technical teachings prejudicial to novelty [of chemical substances] are those which disclose a substance as the inevitable result of a prescribed method or in specific, i.e. individualised, form" (emphasis and insertion added by the present board). With respect to the question of novelty of a specific enantiomer over the disclosure of racemates, the entrusted board stated (reasons, 6.5, 7.1) that "any consideration of the possibility of racemate separation or enantiomer enrichment must be ruled out in the assessment of novelty" and that these considerations "will be more usefully applied to the examination as to inventive step" (emphasis added by the present board). 3.11 The rationale of T 0990/96 and T 0728/98 (3.2, 3.4, supra) is thus not compatible with the case law developed by the Enlarged Board and the above discussed case law of the boards of appeal. 3.12 By applying that case law to the present case, it follows firstly that the purity of the amorphous LH produced according to example 16 of D1 is not explicitly disclosed. Secondly, Report #56 demonstrates that a purity falling within the claimed range is not the inevitable result, and thus not an implicit feature, of the preparation method taught in said example. There is also no teaching at all in D1 to modify this process such that an even higher purity of at least 99.5% as required by claim 1 at issue is achieved. 4. For the reasons given above, a purity as claimed is neither explicitly nor implicitly disclosed in documents D1 and D2/D3. The board therefore comes to the conclusion that the subject-matter of claim 1 at issue, of claim 2 dependent on claim 1, and of claim 3 directed to the medical use of the product of claim 1, is novel over documents D1 to D3 (Articles 52(1) and 54 EPC). Amorphous LH as defined in claim 1 at issue, compared to crystalline LH, is said in the application as filed (page 3, paragraphs  and ) to have a greater aqueous solubility and faster onset of its antihypertensive effect when administered to a patient. Amorphous LH thus begins exerting its activity to reduce blood pressure within a period of time following its administration that is markedly shorter when compared to crystalline LH. The appellants were of the view that D1 represented the closest prior art. The board has no reason to take another stance. As set out above, D1 discloses in example 16 the preparation of amorphous LH hemihydrate, and Report #56 shows that amorphous LH, when obtained following the procedure outlined in said example, has a purity of 97.91% (HPLC). Moreover, D1 discloses (column 3, line 61 to column 4, line 45) that LH possesses antihypertensive activity. D1 therefore represents the most promising starting point for the assessment of inventive step. The subject-matter of claim 1 differs from the amorphous LH disclosed in D1 in that the purity is defined to be of at least 99.5% while it is lower in D1 (Report #56). In the board's judgement, the technical problem deriving from the above mentioned differentiating feature has to be seen in the provision of an amorphous LH having a higher purity. The present application, in particular example 1 on page 17, demonstrates that amorphous LH having the purity required by claim 1 at issue can be prepared successfully. Indeed, amorphous LH prepared in accordance with example 1 has a purity of 99.6% as determined by HPLC analysis. The board is thus satisfied that the technical problem posed is successfully solved by the teaching of the present application. The technical problem posed therefore corresponds to the objective technical problem. 9.1 What remains to be decided is whether, having regard to the state of the art and the common general knowledge, purification techniques were available prompting the skilled person to solve the technical problem posed (7, supra) in an obvious manner. 9.2 D1 discloses in example 16 that the oily residue obtained from the cyclisation reactions "was purified by flash chromatography on silica gel columns, using chloroform with increasing amounts of acetone as eluent". D1 does not mention any further details of the purification procedure. As already explained under 2.2.3, supra, Report #56 convincingly demonstrated that the purity required by claim 1 at issue cannot be achieved by applying flash chromatography. The claimed subject-matter is thus not obvious in view of D1 taken alone. 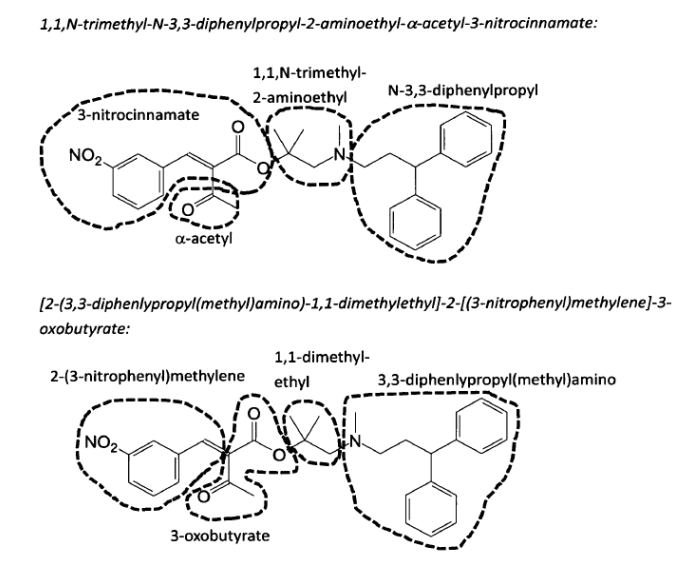 9.3 D2 on column 5, lines 20 to 25 teaches that "the cyclisation method described in [D1] leads to several impurities and consequently a low yield of the product is obtained. The removal of the reaction byproducts requires the use of purification techniques, e.g., column chromatography, which are difficult to apply on an industrial scale" (emphasis and insertion added by the board). An analogous teaching is reported in D3, page 2, second paragraph. The board concurs with the appellants that the column chromatography referred to in the above passages of D2/D3 corresponds to the flash chromatography taught in example 16 of D1 and referred to in D2/D3, and indeed employed therein to remove the reaction byproducts in the formation of lercanidipine free base. As demonstrated above, achieving the purity required by claim 1 at issue is not possible using this method. 9.4 Example 11A of D2 and example 2 of D3 further disclose that the purity of amorphous LH hemihydrate was assessed using an analytical HPLC procedure. In the board's judgement, this teaching could incite the skilled person seeking to solve the technical problem posed (7, supra) to apply said procedure in a preparatory manner in order to separate the crude amorphous LH from undesired reaction byproducts. 9.5 However, the skilled person would recognise that according to the teaching of said examples 11A of D2 and 2 of D3, an HPLC eluant containing inter alia NaClO4 and HClO4 was used (D2, column 19, lines 44 to 45 and D3, page 5 under "Eluant"). While such an eluent does not create any problem in the identification of amorphous LH travelling through the HPLC column for analytical purposes, it would nevertheless be contained in the amorphous LH eluate collected therefrom during a separation procedure for preparatory purposes. 9.6 The skilled person attempting to achieve higher purity would therefore face the technical difficulty of isolating the collected amorphous LH from said eluate, particularly from sodium perchlorate and perchloric acid. In the absence of any teaching in D2 or D3, the skilled person would not know how to modify the HPLC analysis disclosed therein such that amorphous LH having the claimed purity would be obtained. 9.7 Based on the above considerations, the board is convinced that D2 and D3 do not contain any indication of purification techniques which would prompt the skilled person, using common general knowledge, to solve the technical problem posed such as to arrive at a product falling within the ambit of claim 1 at issue. 9.8 The board thus concludes that the subject-matter of independent claim 1, of claim 2 dependent on claim 1, and of claim 3 directed to the medical use of the product of claim 1, involves an inventive step (Articles 52(1) and 56 EPC). 10. The main and sole request of the appellants is therefore allowable. Claims 1 to 3 of the main request filed during the oral proceedings of 9 November 2018. This decision T 1085/13 (PDF) has European Case Law Identifier ECLI:EP:BA:2018:T108513.20181109. The file wrapper can be found here. Photo obtained via Pixabay by Simon under CC0 license (no changes made). Reading this I have a fealing that EPO gave too broad protection. I can imagine that EPO could have granted product-by-process claims, but not a product claims. Thus in this case protection governed by this patent is broader than expected by embodiments of application as filed. Product, as it, is already known in the art. In my opinion, opposition is highly expected. Interestingly, I completely agree to the opinion of the BoA. I think what the comment of Anonymous above overlooks is that A. 54 EPC is not about the question if a product is "known in the art". Rather, A. 54(1) EPC stipulates that an invention (claimed subject-matter) shall be considered to be new if it does not form part of the state of the art. This is a legal fiction which renders everything new except the contrary is shown. The contrary is shown by demonstrating what was part of the state of the art. A. 54(2) stipulates that the state of the art shall be held to comprise everything made available to the public...before the date of filing of the European patent application. Thus, the question is not whether a product is known, but whether said product (specifically: claimed subject-matter) has been made available to the public before the effective date of the claim. Evidently, if claimed subject-matter has not been made available to the public, e.g. because it was not possible to purify a claimed compound to the claimed degree of purity or said kind of purification simply has not been done before the effective date, the claimed subject-matter (compound at the claimed purity) must be novel. In my view, this also follows from logic: Something which has not been there before the effective date of a claim must be new. I think that EPO overlooked the exploitation point of view. Product as such was know in the art. Simple, introducing into claim purity of final product (for the purpose of introducing novelty and inventive step of that claim), without giving hint how it was done (in the claim), leads to the situation that third party will infringe this kind of claim with product purified via other routs. My opinion is that such a claim is broader than embodiment in the application as filed. Proprietor can suit any third party for the sake of just having this product with such purity, without care how it was made, and how it was purified. A process-by-product claim will also be infringed if the third party purifies the product via other routes, as long as the other routes provide a product having the degree of purity that is claimed. In short, defining the exact preparation route in this kind of claim does not change its scope of protection as long as the properties of the prepared product are the same. Protected is the product, not its process of preparation. It is true that the proprietor can use this claim to enforce his rights. However, this is the right of every patent proprietor who has a patentable claim. If a particular third party had the product before the effective date of the claim, this particular third party has a right of prior use. If it has even published said product before the effective date, the claim obviously lacks novelty, i.e. is prone to be invalidated. Thus, in my view, the epo has not overlooked something. I meant "product-by-process". Sorry for the mistake.